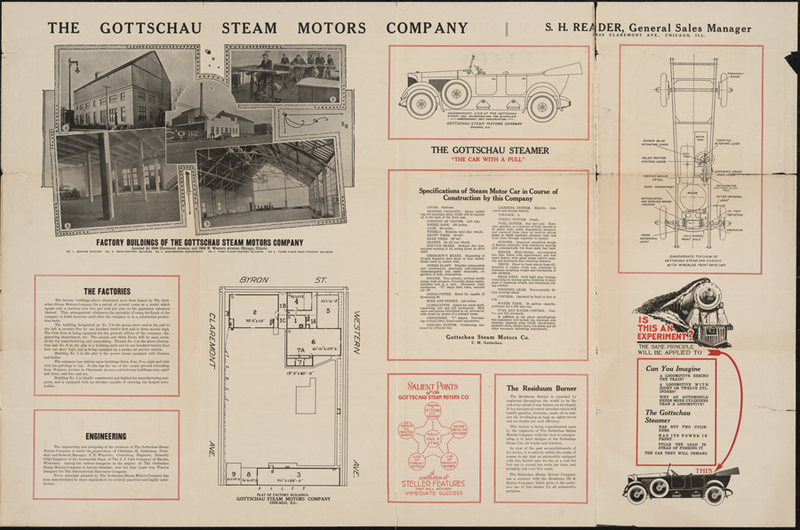 This Gottschau Steam Motors Company fold-out brochure is the only informatino available on this maker. Gottschau is not listed in Kimes & Clark. Kimes, Beverly Rae and Clark, Henry Austin Jr., Standard Catalogue of American Cars, 1805 - 1942, 3rd Edition, (Iola, WI, Krause Publications, 1996). Contact us if you have additional information about the Gottschau Steam Motors Company or if you have questions.